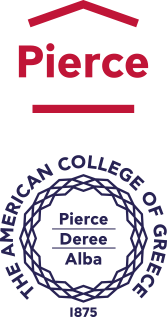 The American College of Greece | Thank You DIAGEO! Home » Why Give » Gifts of Note » Thank You DIAGEO! The American College of Greece is grateful that DIAGEO – the world’s leading premium drinks business – has partnered with DEREE-ACG in its International Internship and Study Abroad Program, offering DEREE students a unique and rewarding opportunity to intern at one of their offices worldwide. Two DEREE Accounting & Finance Majors are interning with DIAGEO again this year for six months until June, and are thoroughly enjoying the unparalleled experience. “A sincere ‘Thank You’ to The American College of Greece for empowering me to apply for this lifetime experience through the International Internship Program and to DIAGEO Ireland for providing me with the greatest workplace to link theory to practice,” says Georgios Karamitsios, a DEREE student who is interning with the Finance Department at DIAGEO in Dublin, Ireland. Through DEREE-ACG’s International Internship & Study Abroad Program (IISAP), DEREE students have the opportunity to intern with one of DEREE’s Stellar IISAP partners – Coca-Cola, DIAGEO, the Libra Group, S&B – in their myriad offices worldwide – followed by or preceded by a semester of Study Abroad at any ACG partner institution, which the companies cover for the student. Find out more about DIAGEO, by clicking here. For more on the International Internship & Study Abroad Program IISAP, click here.